Don&apos;t let the cookie jar go empty! Instead have a box of our unparalleled buttercream frosted cut-out cookies delivered right to your (or one of your favorite people&apos;s) door 6 to 12 times a year. Our 6 month club includes deliveries in – February, April, June, August, October and December. 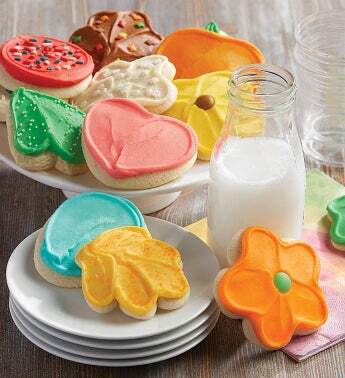 Each delivery includes 24 individually wrapped cookies baked and decorated especially for the season. OU D. Deliveries ship the first week of every month.